We are pleased to announce that we are now stocking Viking iMow’s here at The Mower Shop. 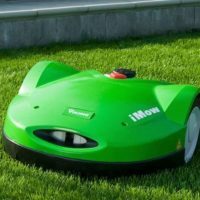 The prices start from £999.00 and range to £2299.00 and these machines are capable of mowing a lawn size anywhere from 300 Sq Meters to 4000 Sq meters dependent on the physical mowing conditions. We offer a site survey and a full installation service to help make the whole process a breeze. We have installed our first machine, Mi632P at Boughton House in Northamptonshire in early May 2017. ← Machine Servicing – What’s Involved and How Much Does It Cost?